Line of Duty is, perhaps, the most intense hour of telly currently on telly. 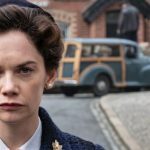 As season 5 kicks off Sunday night on BBC One, early indications are that series creator/writer Jed Mercurio (Bodyguard) has pushed the gas pedal to the floor, going from zero to 60 in the first 90 seconds of episode 1. As intense as the series is for long-time viewers, it can be equally intense for the actors — for entirely different reasons. The stars of Line of Duty recently revealed during a premiere screening and subsequent Q&A at the BFI in London just how nerve-racking it is to receive new scripts from Jed Mercurio for one main reason: They never know whether it will be their character’s turn to die. “The first thing that you do is check that you’re not dead,” Adrian Dunbar (Superintendent Ted Hastings) told the audience. Unfortunately, this is becoming old hat for the great Keeley Hawes who seems to have perfected the unexpected series departure look after leaving Spooks, Line of Duty and, more recently, Bodyguard. 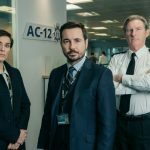 Thankfully, AC-12’s original line-up — DCI Ted Hastings (Adrian Dunbar), DS Kate Fleming (Vicky McClure) and DS Steve Arnott (Martin Compston) — seemed to have all survived … for now. This is where the actors’ panic begins to set in, long before filming begins. 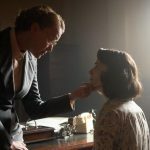 The concept of killing off a major character, generally unheard of in American television drama, is nothing new when it comes to quality British drama series such as Spooks, or even Downton Abbey. With Spooks (called MI5 in America), it got to a point over the 10 seasons that the series aired that, as a viewer, you felt like only Peter Firth was safe in his role as Sir Harry Pearce, Head of Counter-Terrorism Department (Section D), MI5. 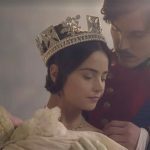 … not to mention the disappearance of Matthew Macfadyen (Tom Quinn), Keeley Hawes (Zoe Reynolds) and Jenny Agutter (Tessa Phillips). Even Downton Abbey, everyone’s favorite period drama, got into the game with the departures of Jessica Brown Findlay (Lady Sybil) and, of course, Dan Stevens (Matthew), who still has some fans in denial about his abrupt departure some 7+ years ago at the end of season 3. So, as the UK tries to forget Brexit debate stress for just a tick, take comfort in knowing that the actors of your favorite British dramas, in many cases, feel your pain. 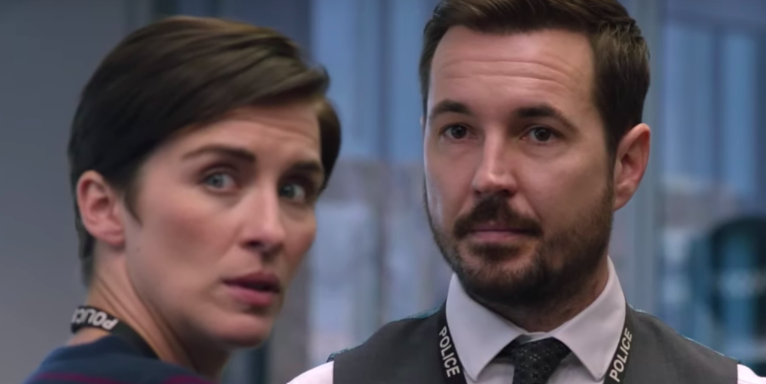 Line of Duty premieres Sunday, March 31, on BBC One.